LLL SPORT Project – Final products now available! Between March 2010 and March 2011, the European Observatoire of Sport and Employment (EOSE) conducted a project titled “Actions towards the Lifelong Learning Strategy for Sport and Active Leisure: LLL SPORT” funded with the support from the European Commission. The LLL Sport project had the main goal to raise awareness of the innovative Lifelong Learning Strategy for Sport and commitment to it through positive engagement and partnership with stakeholders from the fields of sport and education at the national (and sub-national) level. 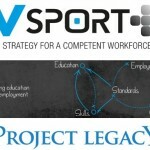 This LLL Sport Strategy was developed specifically to support the sector with Vocational Education and Training (VET) related issues, ensure the development of a qualified and competent workforce for the sport sector, and is fully in line with European policy developments in both sport, such as the European White Paper on Sport, and European VET initiatives such as the European Qualification Framework (EQF). The project utilised an innovative approach of awareness-raising and dissemination through the engagement of “National Ambassadors” in nine European countries. The role of the ambassadors was to provide quality dissemination activities at the national and sub-national level and to report on, and ultimately influence, national VET structures in sport and the level of interaction with EQF and the LLL Strategy. The success of the project depended on the support, engagement and commitment of key stakeholders such as National Qualification Authorities, Education and Sport Ministries, Social Partners, Training Providers and the Sport Movement. The National Ambassadors used all relevant channels to communicate, raise awareness and encourage these stakeholders to take into consideration and implement the LLL Strategy. 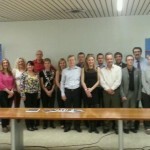 The result of this project, in support of the Education and Training 2020 Work Programme, the ratified Lisbon Treaty and the European White Paper for Sport, was to help national and local stakeholders to better align with EQF and to contribute and introduce changes into national VET systems and practices by transferring and implementing the innovative methodology for Lifelong Learning in the Sport and Active Leisure sector. The intention of the project was to lead to the modernisation of sport training systems, in line with the EQF, and support the concept of a qualified and competent workforce allowing the Sport and Active Leisure sector to realise its potential as a sector of significance at the heart of European society. 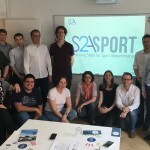 A LLL Sport European Report (download) providing an overview of the activities which took place within the project, some analysis of national sport and education systems and suggestions for future perspectives, sustainability and continuation of the work of dissemination and implementation of the LLL Sport Strategy in Europe.